Short term funding, or to use its well known term, Bridging Finance, is probably the most under used form of financing. 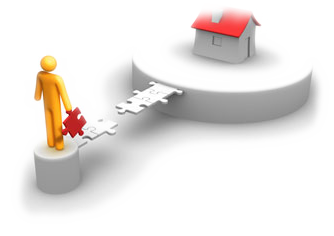 A bridging loan can provide fast access to funding with the minimum of formalities. Bridging finance can be used in a number of different circumstances, such as refurbishment – buying dilapidated properties and then renovating and selling them in a short space of time. One of the most common usages is when people buy a new property before their present one is sold – “a bridge”. With bridging finance, the loan will always be secured against residential or commercial property. A first or second charge will be taken against new or existing property, or a combination of both. Another great use for bridge finance is for people who purchase property at auction, where funds are required quickly. Bridging finance is much quicker to arrange than a normal residential mortgage; on average 3-5 working days from first enquiry to completion.